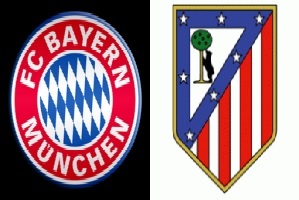 Bayern Munich will play against Atletico Madrid in the second leg of the Champions League on Tuesday. Both teams have already defeated finalists from last season competition to reach this stage. Atletico was able to eliminate Barcelona with 3-2 on aggregate, while Bayern made a brilliant comeback against Juventus netting 4 goals at home. Bayern Munich will try to overturn a 1-0 deficit when they host Atletico. This is their fifth semifinal appearance in a raw. They have won all of their 5 matches at home this season. Scoring 19 goals and conceding just 3. It will be very difficult game for both teams and at the same time very interesting. I give the Bavarians advantage and narrow victory here.